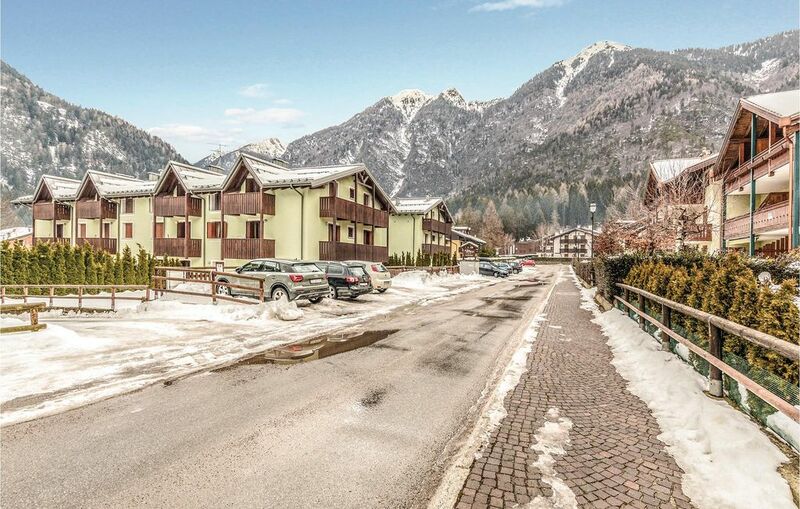 Apartment in residence just outside the characteristic village of Carisolo, in the Adamello Brenta Nature Park and only 15 km from Madonna di Campiglio, pearl of the Dolomites. The apartments can be on the first or second floor with a lift. In the communal areas: TV, wellnes with sauna, turkish bath and relaxation area, storage for skis and ski boots. From Carisolo starts a scenic cycle path (about 25 km), ideal for trekking and cycling lovers. For cross-country skiers at 450 m starts a track that connects Carisolo, Pinzolo and Giustino. In the same residence: IDD216, IDD223, IDD224, IDD312, IDD313 and IDD314. The pictures are examples only.